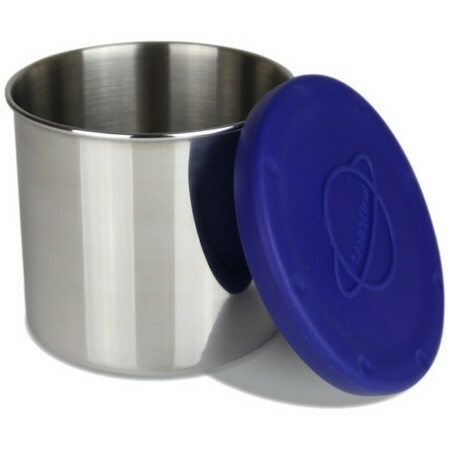 A stainless steel snack container with silicone lid. Designed to carry 2.4 cups/574ml. 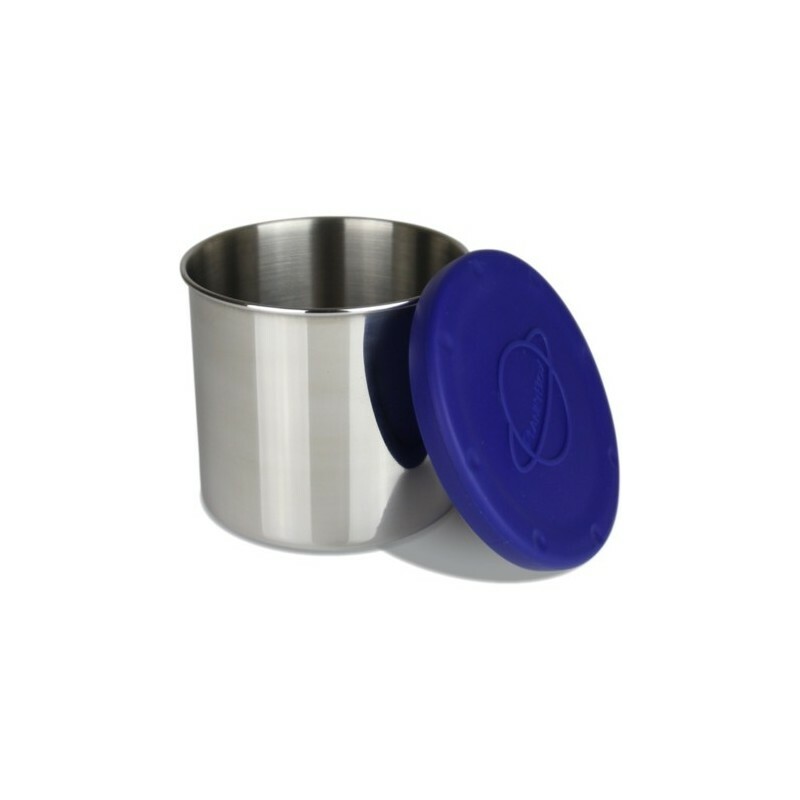 Blue coloured food grade silicone lid with a 18/8 high quality stainless steel base. 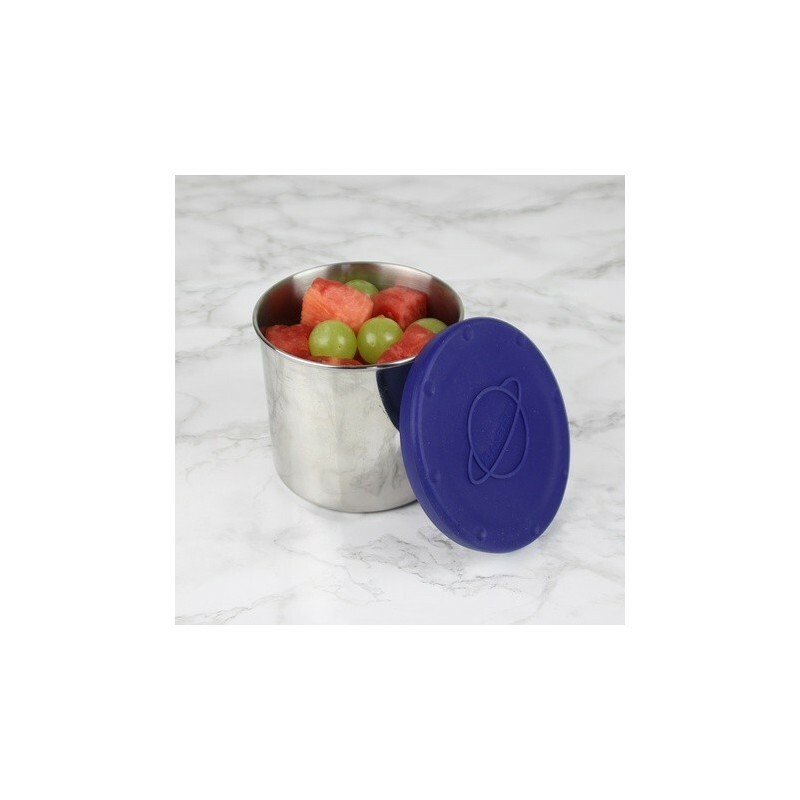 Silo snack container is designed to be carried and packed separately from the PlanetBox lunchboxes. High quality stainless steel container to hold a variety of foods. Flexible silicone lids create a water tight seal while still making it easy for little hands to open. Silicone conforms to U.S. FDA and Europe’s stricter LFGB standards, and is safe from toxic chemicals. The entire snack container is dishwasher safe. 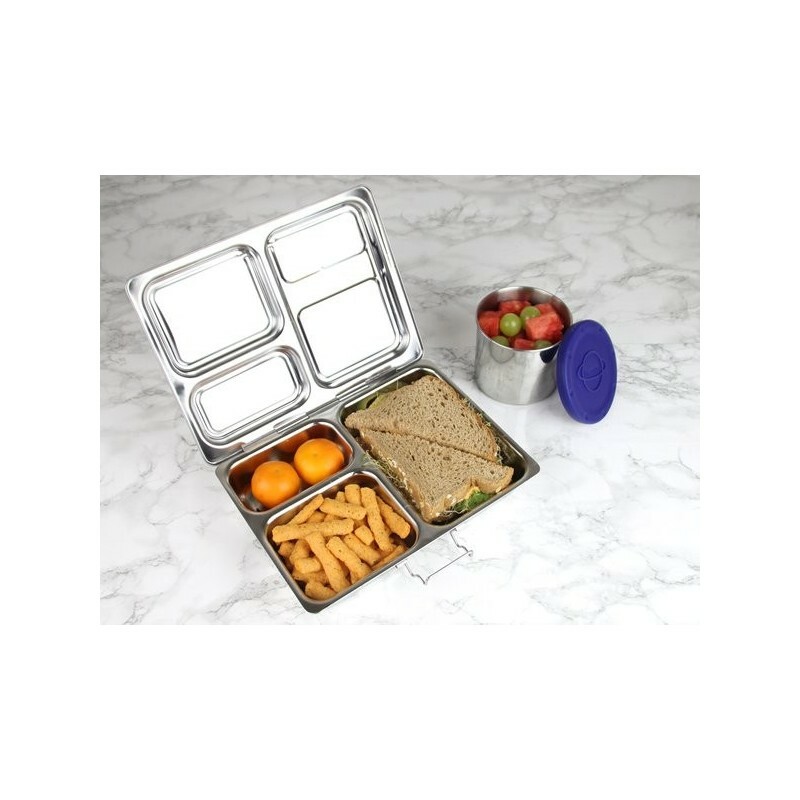 Designed to be carried and packed separately from the PlanetBox lunchboxes. dimensions / materials: 9 x 10.8cm. Silicone and stainless steel. Again great for Munch & crunch at school, especially bigger fruit like cut up watermelon. No problems with leaking.